For many patients, losing their hair is a visible sign of their fight with cancer, but many also see other significant changes to their body including their skin. Sweetpeas and Blueberries, a new spa opening in Hawaii, is dedicated to helping those who need that extra caring touch using Osmosis products. Check out this inspiring story featured on KITV news in Hawaii. 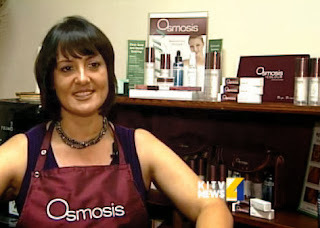 To learn more about Oncology Esthetics, visit their website at www.oncologyesthetics.com.